Throughout the Summer my skin has been extremely oily and a nightmare to deal with but over the past few weeks I've noticed even though my skin is oily it is also very dry on my cheeks and nose area. Most people will notice a skin change with the changing weather. I was recently sent some products to try out and at first i wasn't sure if they would be for me but boy was i wrong! Antipodes Connect With Nature Skincare is a brand i hadn't heard of before now. It is a natural/organic brand with products for everyone. 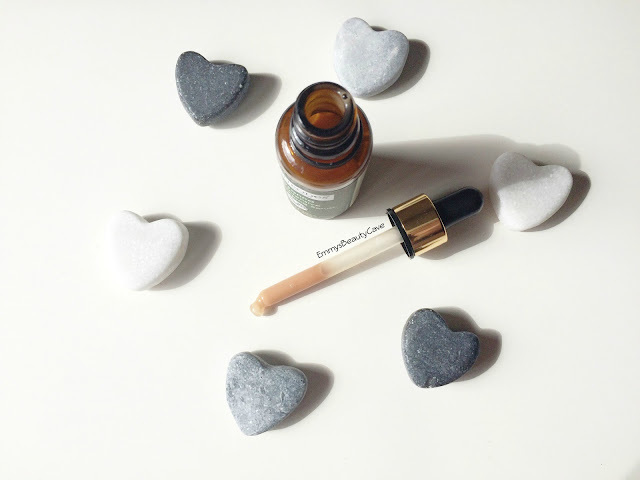 Firstly i tried the Antipodes Hosanna H2o Skin Plumping Serum which is aimed at plumping your skin and targeting cell renewal. I have always been scared of oil based serums as i worry it will make my skin extra oily. This serum has proved me wrong. I love the whole design as it comes with a squeeze type tube so you can easily use the amount you need without wasting product. This serum has a lovely light scent. I massage this into my face and neck and leave it to sink in. The oil quickly sinks into my skin leaving it feel smooth. Since using this serum my dry patches have disappeared which is amazing! 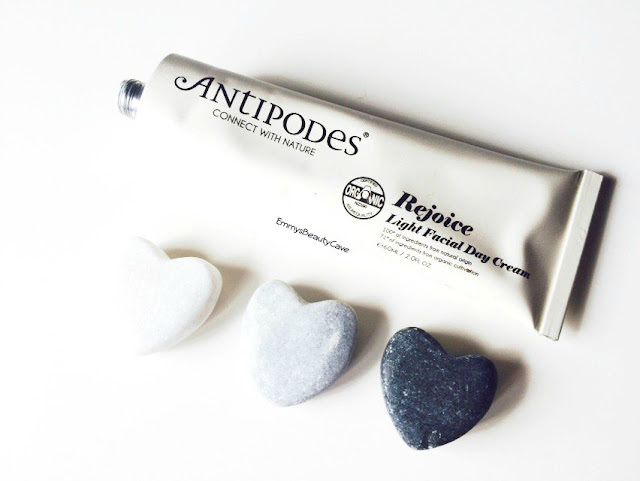 Next i tried the Antipodes Rejoice Light Facial Day Cream. The packaging advises to apply the Antipodes Hosanna H2o Skin Plumping Serum and then to apply this day cream.The Facial Day Cream includes Avocado Oil, Manuka Bloom & Sweet Almond. The Facial Cream has a thicker consistency than a moisturiser so be sure to fully massage this into your skin. Once rubbed in it drys quickly leaving a slightly matte finish which i loved. I have been using this combo for 2 weeks now and have noticed a huge improvement in my skin compared to any other products i have tried before. Beauty Bay currently have the Antipodes Skincare Range on offer with 20% off! Love your photography here Em! Plus I totally want to try all this, I struggle with oily skin and need to try that serum! I really love using oil-based products on my skin. So glad that these worked so nicely for you. Your skin sounds exactly like mines! The serum sounds perfect, I'm definitely going to have a look on BeautyBays website now! 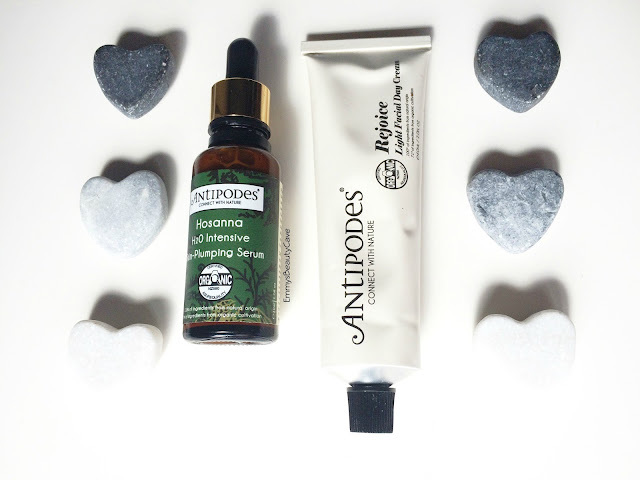 I have really oily skin too but similar to you some dehydrated areas, I have seen sooo much about Antipodes on different blogs and it has made me really intrigued to try it! I love the origins drink up intense mask which sounds similar to these products, definitely going to be ordering some of these goodies soon! That serum looks lovely! I have one similar to it from Antipodes but its bright red and works at brightening the skin! Love the brand as a whole! I'm really loving the sound of the serum, definitely will be checking out antipodes stuff, have been hearing all good stuff about it. I should definitely try these!